August is upon us! Wow, that's gone fast! This month is a good month for The Doc. It's his birthday on the 21st! He is getting older and a lot more wiser that's for sure! Haha! Well folks, here is the latest instalment for your ears to feast on. Found some really tasty ear treats for you this month. A few bands you will already know and a few you won't, but you will love them nonetheless. Check out the good stuff right here! It's gonna be a good month for MonthlyIndieMixtapes! Yes folks, life is good! Especially with musicians that surprise us daily with new music! Nothing is better than music!! 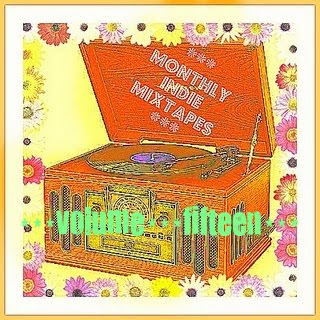 MonthlyIndieMixtapes #15 - Part 1. MonthlyIndieMixtapes #15 - Part 2. Not a problem Fi! Thanks for listening along! Have you gone ahead and become a Facebook fan as well? There are always little gems popping up on there too! Go on, check it out! I double dare ya!